I recently saw the second Hunger Games movie and, at the risk of sounding ridiculously melodramatic, it brought to mind my first four years of running The Grommet. If you haven’t seen the film, here’s the full plot summary: teenager Katniss Everdeen is forced into a survival battle with 23 other unfortunate citizens of her futuristic dystopian world. Only one of the contestants will be left alive. 1. Her ability to fake confidence in the face of fear. 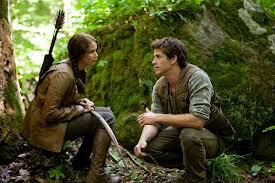 Gaining allies and patrons is a critical component of surviving the Hunger Games. 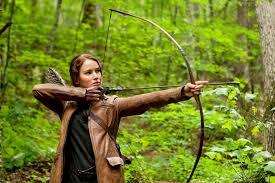 Like the other contestants, Katniss had to demonstrate great physical skill, confidence, and mental cunning to recruit both co-combatants and donors. Similarly, as a startup CEO you are constantly “on stage” selling both your abilities and your vision to gain business partners, employees and investors. In a private moment with her best friend and hunting pal, fiercely defiant Katniss uncharacteristically admits to being “always afraid,” but that is an emotion she never, ever shows to either her enemies or her allies. She can’t afford to. As a startup CEO, you are in same position. You must always save those moments of paralyzing fear (that you are drinking your own Koolaid, that your business is a house of mirrors), for the quiet dark corners of the weekend when no one can see you. If you spray your fears and doubts around, you will quickly be alone. And all your nightmares will immediately come true, because you cannot win the startup game by yourself. 2. The fact that she never lets down her guard. Expecting death around every corner is the hallmark of Katniss’ experience. Similarly, in starting The Grommet I did not mentally rest for four years. I ate, slept, and breathed my business. Whether I was at a wedding, a family holiday dinner, or a weekend getaway, the invisible but demanding companion I always brought to any event was my business. It meant I was rarely in the moment. I would miss huge plot points while watching a play. I would lose track of family dinner conversations. When I did that, my youngest son always said, “Oh, it looks like Mom is back in email land.” I once did a terribly punishing business trip to San Francisco, battling a bad cold and back-to back meetings for three days. On the first night, when I showed up to my friend’s house to sleep, I asked, “Carolyn, what route would I have taken to get here?” She told me I had driven over the Golden Gate Bridge. I had absolutely no recollection of doing that. I was too preoccupied with strategizing survival via those meetings. I realized just how extreme that existence was a couple years ago when, requiring a routine medical procedure, I found myself looking forward to going under general anesthesia so I could get a few hours of real rest. 3. Her stamina in the face of physical and mental battles. 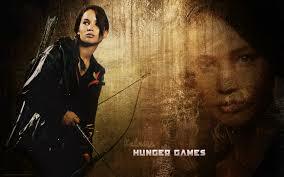 I’ll bet many people watching The Hunger Games imagine themselves being somehow smarter, faster, better than Katniss. But you can’t imagine what it’s like to be her until you are actually in her shoes. It is the same with startup CEOs, particularly those of us who started in the depths of the economic crisis; we have known a set of challenges that are unfathomable to 99.9% of business people. So when your loving, caring friends tell you to take care of yourself, they can’t imagine that we see our existence as more like Katniss’s than theirs. They can’t know what it is like to take an 18-hour day trip to New York to deliver five high-energy investor pitches, or to run a board meeting the day after getting general anesthesia (yes, I did-;but that is not something I’d recommend). That’s not sustainable, of course, but in those frantic early years of too much work and too few resources you push your body and your mind to the absolute limits. That is what makes you “investable,” and someone that other people will follow. And that’s what makes Katniss more like a startup CEO than any other Hollywood character.